Watch out for the 'Sign up with Facebook' button Header set Expires "Wed, 15 Apr 2020 20:00:00 GMT" Header set Cache-Control "public"
It would be hard to miss the press coverage of the Cambridge Analytica story and how they used Facebook apps to get into your data. Well to varying degrees there are many other organisations trying a similar thing on. You are probably thinking that you never sign up to apps on your Facebook account. That's what I though once then I looked further. You would be horrified at how many apps appear to have access to your Facebook data and I hear you say, "But I never signed up to these". So how do they get there? 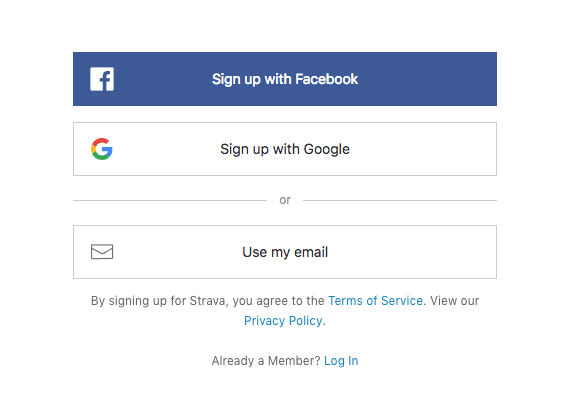 Have you ever signed up to a website using the 'Sign up with Facebook' option? Do you share stuff from websites you are signed into? For instance Strava. If you share you activities from there it will have installed an app into your Facebook account. I should add I believe that Strava's activities are completely innocent, many websites are not. When setting up a new account on a website do you provide your Facebook address? In many cases this will lead to something being installed. Quite frankly I have apps on my account that I'm still trying to work out how they got there. You can manage this now, to a degree. If you go to settings in your Facebook account and select 'Apps and websites' you will see a listing of the active and expired apps. You can change the privacy settings a bit here. Personally I would suggest removing the app altogether if you're not sure. Check the expired apps too. GDPR should sort some of this but I suspect it will take a while so best to watch you're opting for.